To be the best training centre for minimally invasive surgery (MIS) training in the region. To design & build a state-of- the-art lecture hall with digital HD video and camera system, high fidelity audio system inte- grated with latest teleconfer- ence and on-demand/live webcasting system. Other facilities include meeting rooms, seminar rooms, self- access learning centre, dry and wet lab, cadaveric lab, animal OT, specialised skills lab, simulation training lab with minimally invasive surgi- cal simulators and interven- tional endovascular trainers. To provide the latest technol- ogy to facilitate and assist ASSC to achieve its vision in advanced surgical training and education for Malaysia. ASSC, Advanced Surgical Skills Centre, situated in The National University of Malaysia Medical Centre (UKMMC), occupied a five- storey building which is being equipped with the latest technology in minimally invasive surgery making it the first such training centre of that magnitude in the region. ASSC aims to become a hub for training doctors in the region in cutting edge advanced surgical technology especially in the field of minimally invasive surgery. 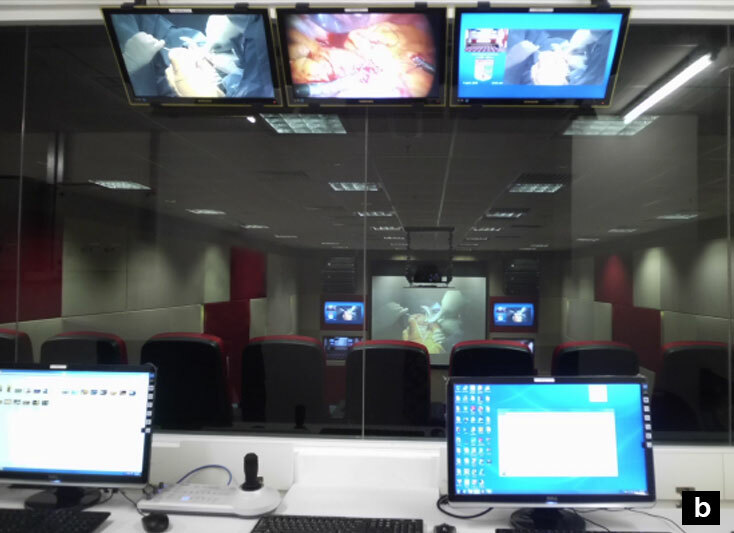 The ASSC is equipped with a digital simulated OT, a high tech operating theatre, which is an integrated high definition operating theatre for advanced laparoscopic surgery. 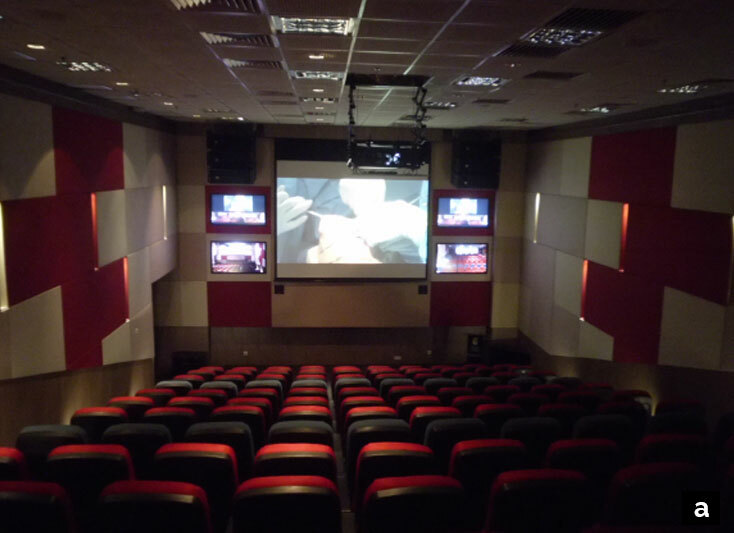 It has a state-of-the-art lecture hall with digital HD video and camera system, high fidelity audio system integrated with latest teleconference and on-demand/live webcasting system. Other facilities include meeting rooms, seminar rooms, self-access learning centre, dry and wet lab, cadaveric lab, animal OT, specialised skills lab, simulation training lab with minimally invasive surgical simulators and interventional endovascular trainers. ASSC is taking phase-in approach before it reaches its final setup. The Lecture Hall is to be completed in phase I. One of the considerations during system design is that the system in Lecture Hall must be future-proof and ready for integration and upgrade as and when the need arises. It will have to integrate seamlessly with a digital simulated OT and medical equipment at wet/dry lab in Level 4. The Lecture Theatre will act as the hub for the entire AVT centre. All video, audio and telecommunication network will converge here. It will also have capabilities to monitor and control activities and equipment control in other parts of the centre. It will be equipped to act as a state-of-the-art conference centre where major medical related meetings, conferences and video conferencing sessions can be held. 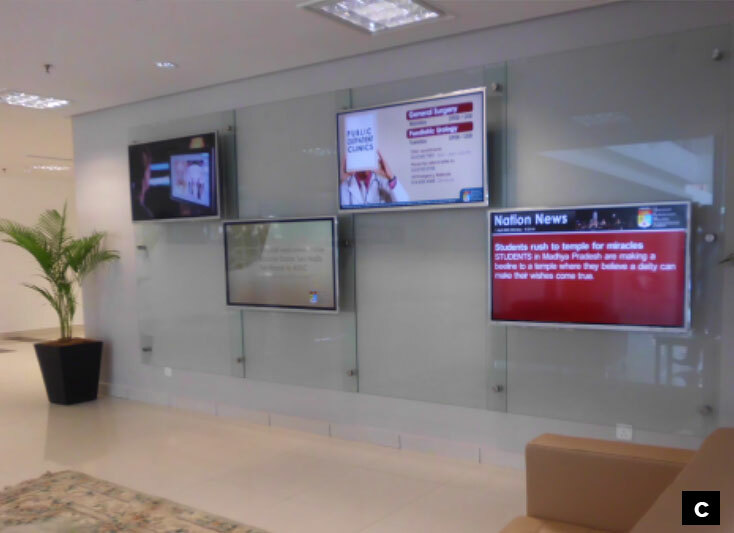 It has a large HD display system for CME, medical teaching, conferences, workshops and others. It is able to display high quality medical images and videos (images or video from X-ray, portable C-arm, CT/MRI, HD endoscopy, microscope, navigation system and others). The Synergy Connection Man- ager, the core of the system, supports multiple sources on the same viewing platform simultane- ously; with ability to connect a digital simulated OT and Wet/Dry Labs in ASSC. Meanwhile, the purpose built architecture is ready to connect to HUKM main auditorium and Star Gate Seminar Room in Surgery Department, located in main hospital building. The SCM consists of modules with individual function- ality but closed integrated as a unit. SOCS ( Smart Operating Control System) module, allows the new system to be integrated with digital Integrated Oper- ating Room (iOR), a digital simulated OT or other conference facilities. It bridges the communication network between lecture theatre, conference room and others; provides room-to-room connectivity at a touch of a button. The module will enable full-duplex audio communication link, ready for long haul trans- mission of bi-directional high resolution, pixel-for- pixel computer-video, DICOM images for collabora- tive telemedicine program or tele-consultation by specialist centers. Its Web-casting, Recording & Archiving Module with web-casting and archiving server offers full-featured voice, video and web conferencing and collaboration in a single platform. It captures medical knowledge and disperses it to employees, patients and communi- ties worldwide. The system records CME, lectures, medical seminars and instruction on a wide array of medical topics and health issues to enrich student learning and foster collaboration between faculty and medical specialists. It gives ASSC the flexibility of having on-demand availability of emerging health information for internal and external audiences.